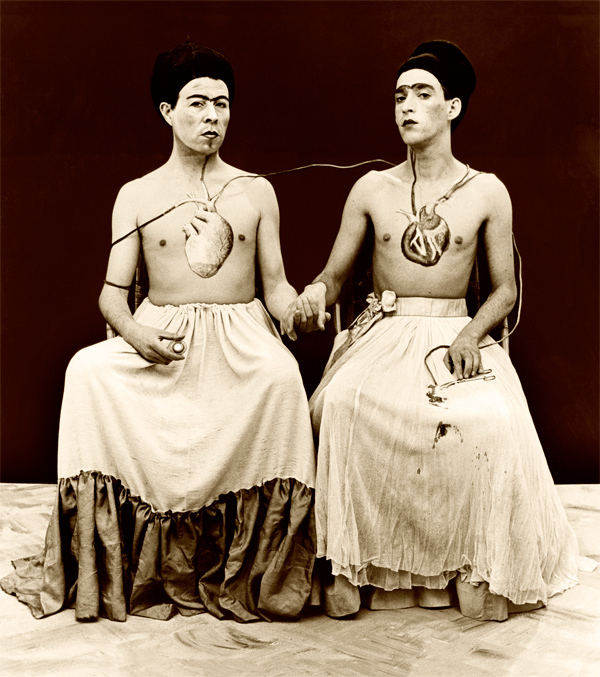 As have most of her fans, I've always loved Frida Kahlo's self portrait of her two sides: the indigenous side and her European side. 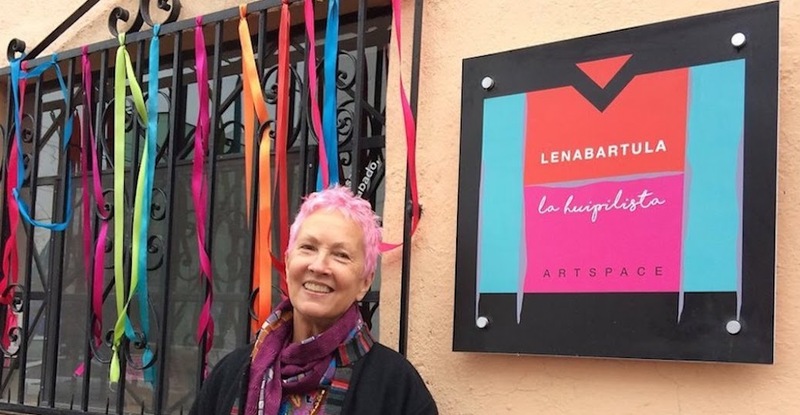 You can read all about the meaning, the analysis, the critic reviews of Las Dos Fridas and still walk away wishing you knew more. Many artists over the years have replicated this fascinating scenario in their own visionary ways and I decided, while working on dolls for DOLL THERAPY, that it was time to imagine my own version. 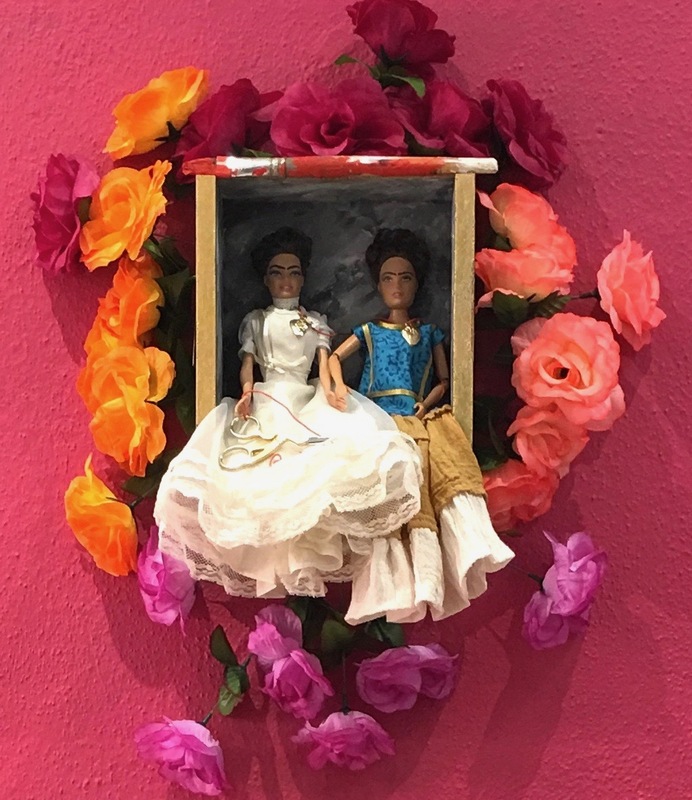 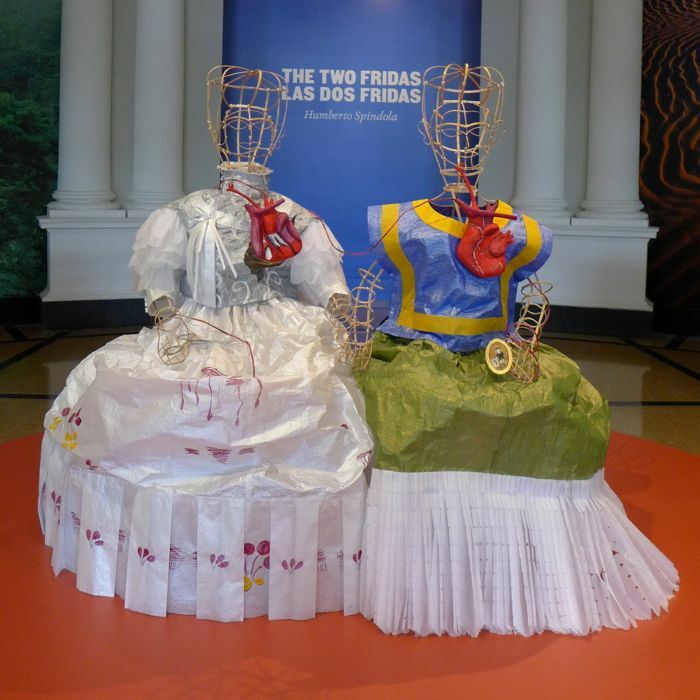 My Las Dos Frida Barbies is a small theatrical box / shrine with Barbies holding hands, hearts of milagros instead of blood, her sewing scissors, an original Barbie wedding dress, and a Tejuana huipil and skirt hand-sewn by La Huipilista herself. 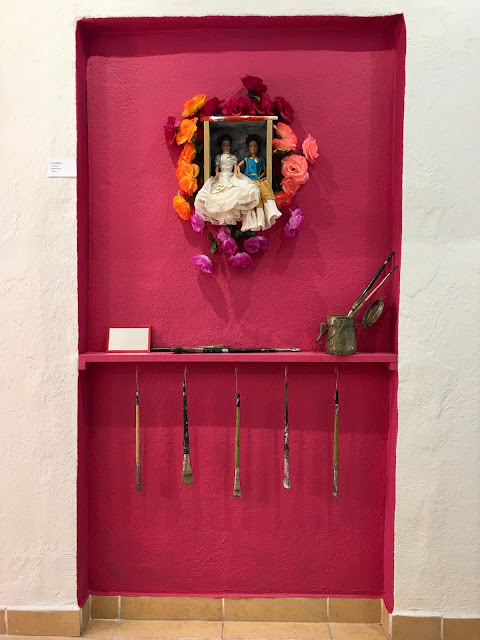 The shrine is set in a rosa mexicana nicho with some of Frida's favorite things: colorful flowers, paint tubes, brushes, mirror and turpentine bucket. 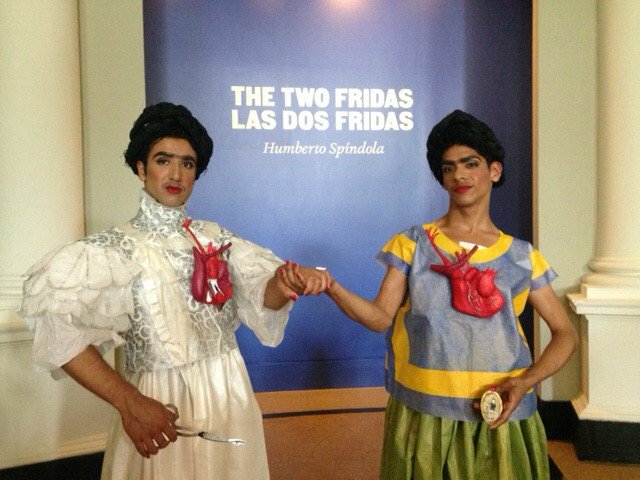 And now to share with you some of the wild and varied Las Dos Fridas I found on the internet last week. I apologize that I don't have the names of the artists who created them because well, sometimes they just aren't available. If you know the artists, feel free to share with me and our audience. 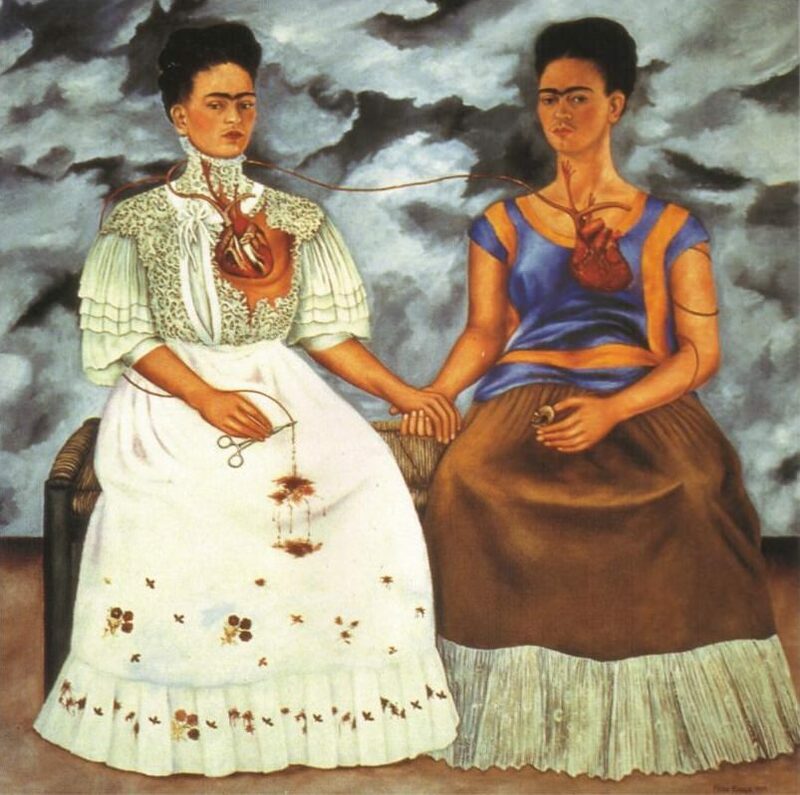 It feels rather exciting and enjoyable to be in league with all these other artists who found themselves entranced and inspired by this same image.